In the first installment of Women of Tokusatsu, we talked about the early heroines of Super Sentai. For our second installment, we focus on the women of modern Super Sentai seasons. Please note, this article contains spoilers of recent Super Sentai seasons. Please read at your discretion. 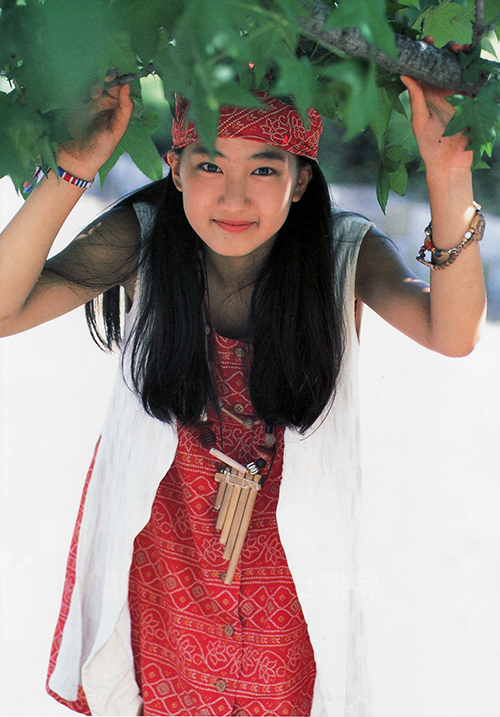 Though debuting in 1994, Ninja Sentai Kakuranger had a modern approach to female characters as leaders with Tsuruhime/NinjaWhite, played by Satomi Hirose. Kakuranger focused on five ninja descendants tasked by the Three God Generals to fight the Youkai. Known as the “Crane Princess”, Tsuruhime was a 15-year old girl dedicated to her duties and acted as a leader of the Kakurangers. Throughout the show, she searched for her missing father and fought the Youkai to protect others. 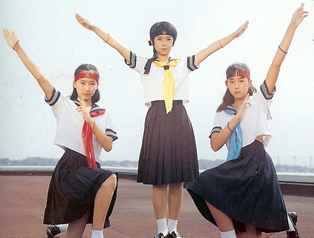 In episode 35 of Kakuranger, it was revealed she was a part of the Punishment Sailor Sisters, which was a fighting trio consisting of Tsuruhime alongside her two friends Yukiyo and Tsukiyo. The Punishment Sailor Sisters were created as a direct reference to the Toei Fushigi Comedy, Yuugen Jikkou Sisters Shushutorian, which centered around three young girls with magical powers fighting evil. They were also an indirect reference to Sailor Moon as their roll call “In the name of heaven, we will punish you!” was very similar to one said by Usagi in the show. Though shown briefly in the episode, the trio became iconic in the franchise and showcased how a team of young women were capable of fighting even the toughest of monsters. As the youngest female Sentai leader in the history of the franchise, Tsuruhime paved the way for heroines like Yuri/TimePink from Mirai Sentai Timeranger and Ran/GekiYellow from Juken Sentai Gekiranger to be strong, capable leaders of their teams. The 32nd entry, Engine Sentai Go-Onger, featured our first female sixth Sentai, Miu Sutou/Go-On Silver played by Yumi Sugimoto. Airing in 2008, Go-Onger centers around the six Engines from the Machine World selecting human partners to help defeat the Gaiark, an evil organization who seek to pollute their world. 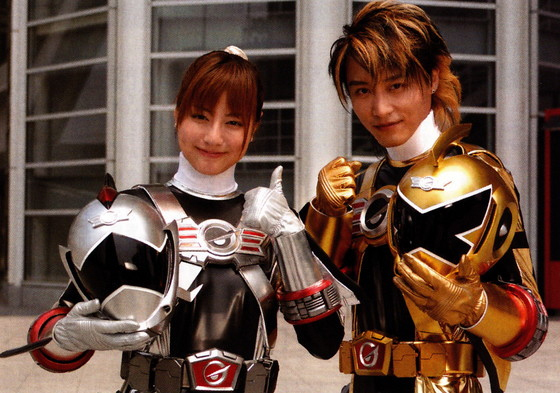 Miu Sutou was part of the Go-On Wings team as Go-On Silver with her brother, Hiroto Sutou, as Go-On Gold and shared the sixth Sentai status with him. Introduced in episode 16, she was a tough fighter specializing in Aikido with the esper ability to allow her to see things through the flowers she takes care of. Initially, she distrusted the Go-Ongers and believed they were too inexperienced to fight the Gaiark. As the show continued, she began to respect the team and even became close friends with Saki Rouyama/Go-On Yellow later on. With her amazing Aikido skills and esper abilities, Miu was idolized as a strong fighter with a personality not seen before in previous sixth Sentai members. Though there has been no female sixth Sentai to succeed her at the time of this article’s release, she is still notable for being the first and showing that women can take on non-traditional Sentai roles. 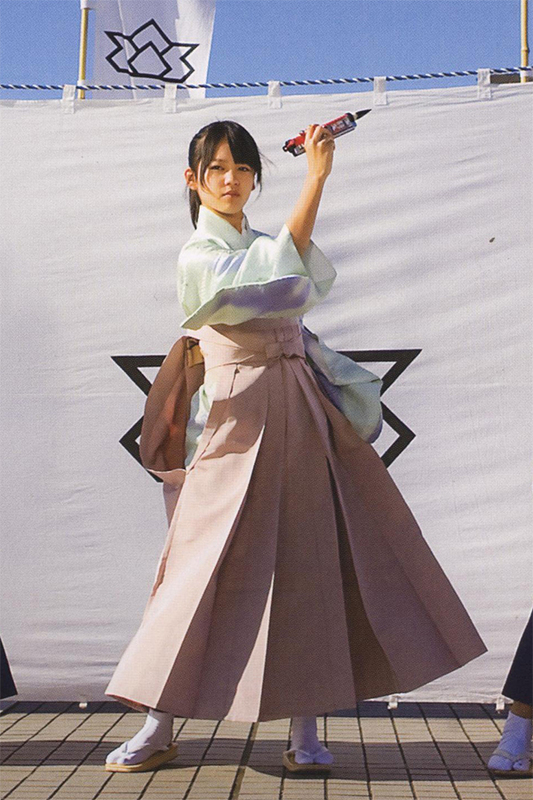 Samurai Sentai Shinkenger set a historic moment in the franchise when the first female Red Sentai, Kaoru Shiba (played by Runa Natsui), was introduced. Shinkenger centered around five samurai warriors known as the Shinkengers, as they battled the Gedoushu. Throughout the show, Takeru Shiba acted as ShinkenRed and head of the Shiba clan, who the Shinkengers fought for. However, in episode 44, Kaoru Shiba comes out of hiding and reveals herself as the true head with the power to seal the Gedoushu. 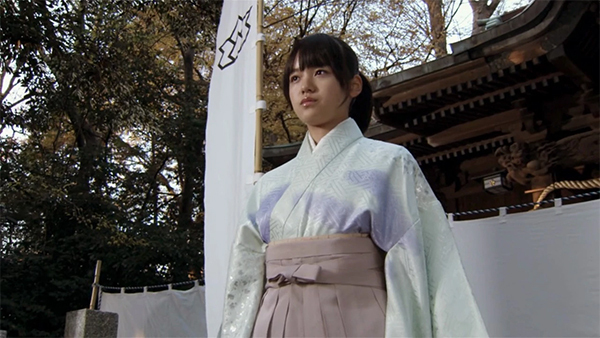 As “Princess ShinkenRed,” she fought with the Shinkengers and proved herself a worthy leader to everyone. Her strong leadership abilities paired with her kindness and compassion for protecting people from the Gedoushu made her a beloved character in the show. 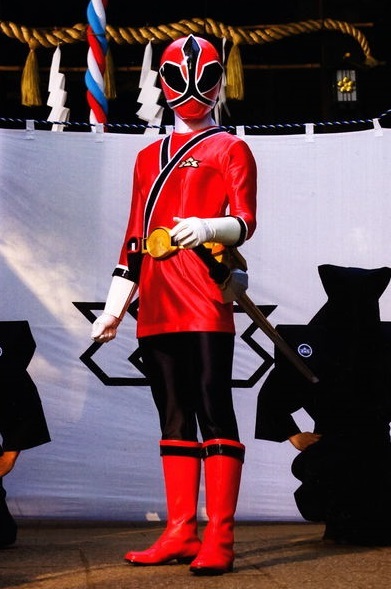 Though her reveal was shocking for fans at first, her character showed a strong woman could portray a Red Sentai and will hopefully encourage another female Red in the future. The 41st and current season, Uchū Sentai Kyuranger gives us a range of interesting characters including Raptor 283, voiced by MAO, who previously portrayed Luka Millfy/GokaiYellow in Kaizoku Sentai Gokaiger. Kyuranger focuses around nine ultimate saviors chosen by the Kyutama to defeat the Jark Matter. Raptor 283 is a female android and one of the commanders of the Orion. 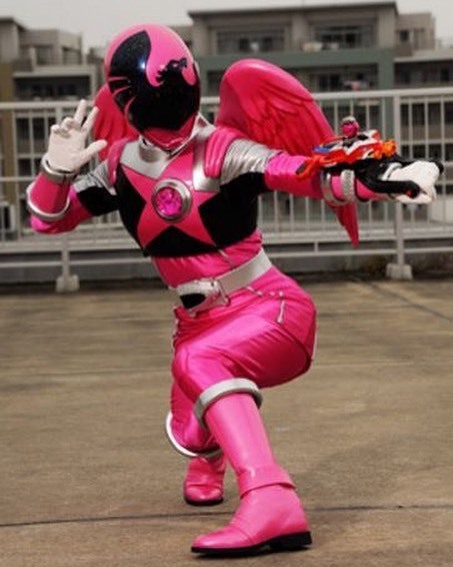 In episode 4, the Washi Kyutama chooses her to become Washi Pink and she joins the Kyurangers. As the first female android to become an official team member, Raptor 283 is portrayed as a smart, serious member of the Kyurangers who is dedicated to helping save the galaxy. Though the season is still underway, her character has already become a fan favorite and can expect to develop into an even better character over time. There were many amazing women in the Super Sentai seasons not mentioned in this article, but these characters paved the way for strong female characters to shine in the franchise. In our next installment, we will talk about the women of GARO. Great article, though it sounds awkward when referring to the individual characters as “Sentais.” Shouldn’t it be “rangers?” The sentai is the team, not the team member.